Apple cider vinegar with the mother contains important enzymes and bacteria that have many health benefits. The mother in unpasteurized apple cider vinegar looks like a cloudy sediment floating in the liquid. It is believed that vinegar “mother” contains the key elements that make raw, unfiltered apple cider vinegar a refreshing tonic that can help improve your general health. Of course, organic fermented apple cider vinegar has many benefits in addition to the “mother” of vinegar. Some scientific studies point to the fact the raw, unpasteurized apple cider vinegar with the mother can help to lower cholesterol, regulate blood sugar levels, and is full of beneficial antioxidants. However, many of these amazing benefits are also due, in part, to the vinegar mother. The general benefits to your health of apple cider vinegar have been well documented on this website. In this article, I am going to examine what science says about the specific benefits of the mother in apple cider vinegar. You will also find out useful ways that you can use this type of vinegar with the mother. Apple cider vinegar (ACV) containing the mother is raw, unfiltered, unrefined, and unpasteurized vinegar made from fermented apples. 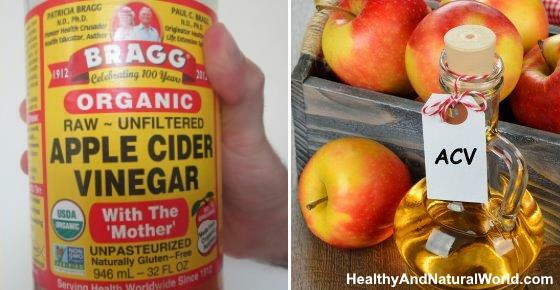 A popular type of apple cider vinegar that is raw and unfiltered and contains the mother is Bragg’s ACV. The mother in apple cider vinegar is a natural film that forms in fermented apple cider vinegar and is a culture of various bacteria. The vinegar mother is actually very similar to SCOBY which is used in making kombucha (fermented black or green tea drink). SCOBY is also referred to as the “mother” and is also a culture of bacteria and yeast (hence the acronym Symbiotic Culture of Bacteria and Yeast, or SCOBY for short). You may notice that in stores, most vinegars, including apple cider vinegar, are clear without any sediment. The main reason that commercial vinegar manufacturers do this is for aesthetic purposes. Filtering and refining apple cider vinegar removes the mother from the vinegar and therefore becomes an inferior product. Also, pasteurizing apple cider vinegar kills off much of the good bacteria and their amazing health benefits. The reason that unfiltered, unpasteurized apple cider vinegar is better for you is that it contains the mother. This collection of healthy enzymes and bacteria help to boost the health properties of raw apple cider vinegar. The answer to the question if raw, unfiltered apple cider vinegar is better than the pasteurized, filtered variety depends on why you use it. If you drink apple cider vinegar for its health benefits, then organic, raw unfiltered is the best type to use. Even though acetic acid itself has some benefits to your health, drinking cider vinegar with the mother will provide your gut with healthy bacteria and probiotics. When looking for high-quality apple cider vinegar containing the mother, many people choose Bragg’s apple cider vinegar. Although there are many producers of raw apple cider vinegar, Bragg’s ACV is made from organically-grown apples. Also, the cider vinegar is unfiltered, unpasteurized, and unrefined, meaning that it is apple cider vinegar with the mother. However any other brand of organic ACV with the mother is good too. Research into the amazing health benefits of the mother in apple cider vinegar has shown that it contains bioactive substances and has a diverse bacteria content. What exactly does the vinegar mother contain that makes it so beneficial? Another reason to drink organic apple cider vinegar with the mother is that it is a rich source of iron. When analyzing the beneficial compounds in vinegar mother, scientists found that it contains high levels of iron (Fe).3 Iron is important to help your blood carry enough oxygen and prevent the symptoms of anemia. Can you Eat the Mother of Vinegar? Yes, it is possible to eat the mother of vinegar because it is a naturally occurring substance in organic cider vinegar. However, it is probably very difficult to extract just the vinegar mother from the liquid. So, the best way to consume the mother is to give the bottle of unpasteurized ACV a good shake so that the cider vinegar takes on a cloudy appearance so the mother is spread evenly in the vinegar. What are the benefits of drinking diluted Bragg’s apple cider vinegar or any other brand of organic ACV with the mother? Let’s look briefly at the tremendous health benefits of cider vinegar and the mother. To use apple cider vinegar to improve your health and boost your cardiovascular system, drink an 8-oz. glass of water containing 1-2 tablespoons ACV. Drink once or twice a day for best results. If you need to lose belly fat fast, please check out some of my flat tummy drinks or these ACV detox drinks. You can also read my ultimate guide on how to use Bragg’s apple cider vinegar for weight loss. Of course, it’s important to also reduce calorie intake and exercise regularly to try and lose weight as part of a healthy lifestyle. Apple cider vinegar for diabetes is just one of the foods that can help to manage type 2 diabetes symptoms. It’s also important to eat healthily to prevent developing diabetes in the future. Lowering blood sugar levels helps to improve your cardiovascular system and lose weight. Some people who regularly drink ACV with the mother drink a glass of diluted apple cider vinegar in the morning before breakfast and then before their evening meal. Drinking diluted apple cider vinegar daily can help manage blood pressure levels. However, because high blood pressure can have serious consequences, it’s important to consult with your doctor before reducing any medication you are taking. The high content of antioxidants in vinegar mother makes brands like Bragg apple cider vinegar perfect to create detox drinks. As has been mentioned, the vinegar with the mother contains polyphenols that help kill off free radicals. Also, the Journal of Medicinal Food reported that apple cider vinegar helps lower oxidative stress levels. This can help improve heart function and prevent the consequences of an unhealthy lifestyle. Because of the amazing health benefits of drinking ACV, you should also think about adding cider vinegar drinks to your daily routine. You can try these recipes for delicious ACV detox drinks. Even just adding a teaspoon of raw honey to an apple cider drink can help to flush harmful toxins from your body. For more information on how ACV can help you get clear looking skin, please read my article on how to use apple cider vinegar for acne. You can also use apple cider vinegar to get beautiful, shiny-looking hair when using it as a leave-in conditioner. The antimicrobial properties of apple cider vinegar that I’ve discussed in this article can help kill off germs and fungal infections from your scalp that can cause itching and dandruff. To find how to use ACV for your hair, please read my article on how to wash your hair with apple cider vinegar. When using raw unfiltered apple cider vinegar that contains the mother, there are certain precautions that you should remember. First, apple cider vinegar is very acidic and therefore you should not drink it or use it on your skin without diluting it. If you find that you are a bit nauseous after taking a glass of apple cider vinegar, you could try reducing the dose. Then gradually build up the amount you take until you reach the optimal ACV dose of 1-2 tablespoons per day diluted in a glass of water. Tooth enamel. One reason to never drink neat apple cider vinegar is that its acidic nature can erode tooth enamel. However, you can avoid any damage to your teeth by swishing some water around your mouth after taking a glass of diluted apple cider vinegar or drink it with a straw. Safety during pregnancy. Health professionals are concerned that food-borne pathogens may be present in unpasteurized foods, and although the acetic acid in vinegar may protect against this, little evidence exists. Since pregnant women have a higher risk for food-borne diseases compared to the general population, drinking unpasteurized ACV during pregnancy doesn’t worth the risk. Does Apple Cider Vinegar Without the Mother have the Same Benefits? Scientific studies have shown that the vinegar mother contains many health benefits in the form of antioxidants, polyphenols, probiotics, and iron. Of course, studies also show that just the acetic acid content of ACV has health benefits like lowering blood pressure, cholesterol, and blood sugar levels. However, even though organic filtered ACV without the mother does have some benefits, apple cider vinegar with the mother means that you boost the effectiveness of the liquid. Also, sometimes there is not a big difference in price between ACV with vinegar mother and the type without. When it’s Important to Use Apple Cider with the Mother? When Can Refined Filtered Apple Cider Vinegar be Used? Taking a bath in apple cider vinegar to combat yeast infections and soften your skin. You should be able to find apple cider vinegar with the mother at your local health store or even supermarket. More and more companies are realizing the great benefits that apple cider vinegar with the mother brings. So, it is becoming easier to find high-quality apple cider vinegar with the mother. Bragg’s unpasteurized apple cider vinegar is also available online and comes in 16-oz., 32-oz., and 1-gallon bottles. Food Technol Biotechnol. 2016 Mar; 54(1): 113–119. AHCMedia. Health benefits of apple cider vinegar. Am J Clin Nut. 2004 May;5(1): 727-747. DiabetesJournals. Vinegar improves insulin sensitivity. Postepy Hig Med Dosw (Online). 2015 Mar 22;69:374-83.